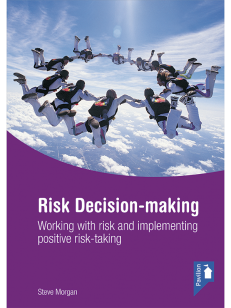 The concise and informative handbook provides accessible advice with a minimum of legal jargon and can be used as a reference book for all those who undertake advocacy work with adults, young people and children, either in a professional or voluntary capacity. 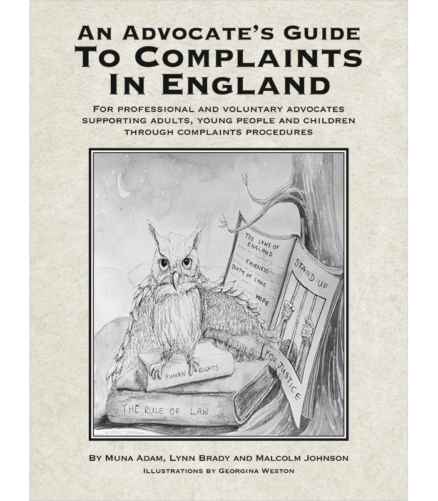 The book describes the different types of advocacy provided to complainants and the role and tasks of the advocate, explaining the various sources of guidance for advocates who present or assist with complaints. It describes the process of how a complaint is initially made and follows through the various stages of the procedure, advising on how best to achieve a positive outcome. The first three chapters describe the advocacy world; explaining how it fits with the legal system, and answer the general questions commonly asked by advocates who are dealing with difficult cases. 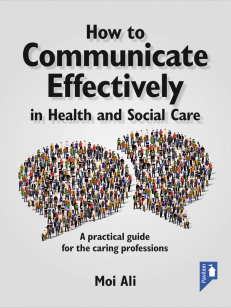 The rest of the chapters go into detail about the respective complaints procedures of various organisations and areas, such as healthcare, social care, education, housing, prison, children’s services and the police. Where possible examples of cases that have progressed to higher bodies, such as Ombudsmen or courts, are included to give examples of the type of complaints that are successful. At the end of each chapter there is a helpful ‘Key points’ section. The aim is that the advocate will be able to ‘dip into’ these chapters for advice as and when needed and use the book as a comprehensive route map for the main complaints systems in England. 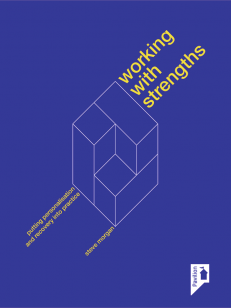 This should be particularly helpful for advocates dealing with complaints that may cross between different institutions, such as social care and mental health. Malcolm is a Solicitor at Hudgells, where he specialises in personal injury and clinical negligence claims. He is a Solicitor Advocate, a member of the Law Society’s Personal Injury Panel, and a Fellow of the Association of Personal Injury Lawyers. Malcolm is an Adviser to Coram Voice, where he assists their advocates in making complaints on behalf of looked after-children and care leavers. Lynn is an advocate and an independent person for Children Act complaints. She has a PhD in social care specialising in the needs of traumatised young people in the care system, who have challenging behaviour. She also has a postgraduate teaching qualification as well as professional qualifications in advocacy for children and young people, childcare, counselling, NVQ assessment and verification. For the past 40 years all of her work has been linked to improving the lives of children, young people and families – particularly those who are disadvantaged and/or disengaged either in the community, education or training. Muna has worked and volunteered with vulnerable people, in the UK and abroad, for over ten years. She is an experienced youth advocate with an extensive knowledge of children’s rights and the care system. This work has also required her to have a broad understanding of housing, education, mental health and welfare systems. Muna is now working as a childcare paralegal in a local authority. She has completed her Graduate Diploma in Law and is about to begin her Legal Practice Course.